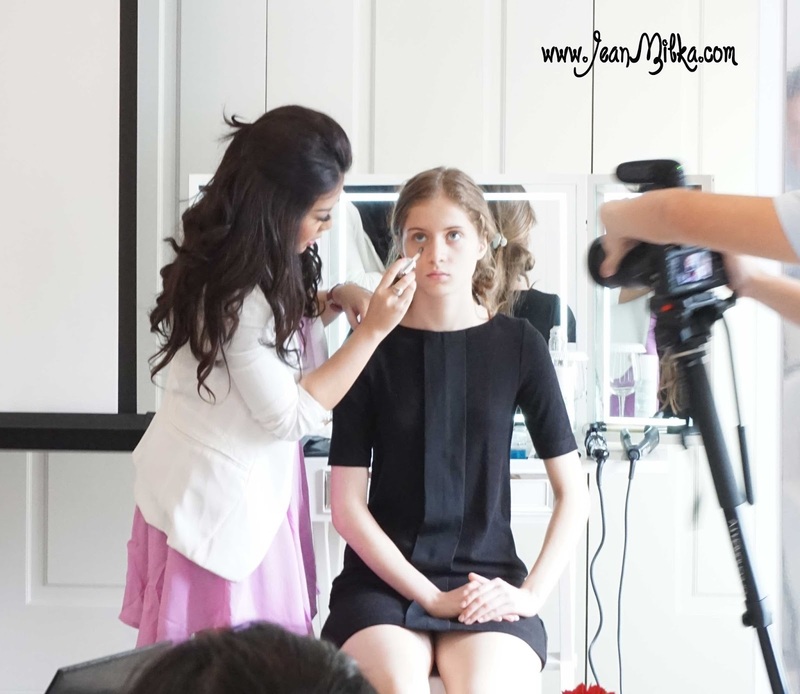 Today I want to share best make up class that I have ever join. 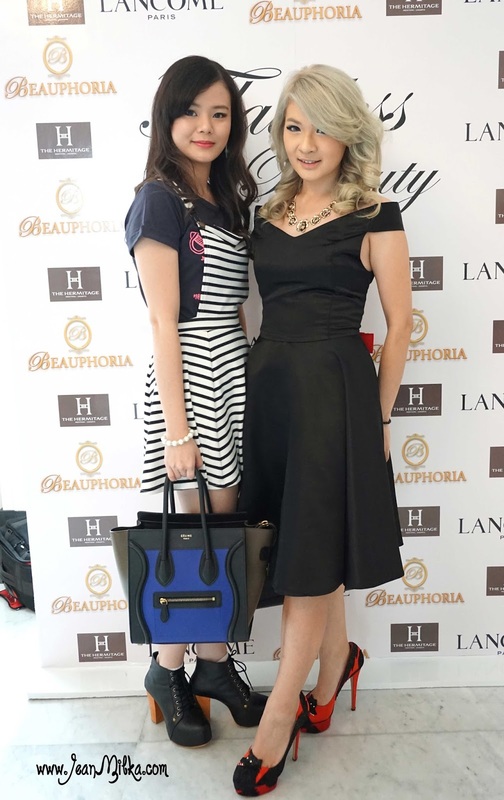 Around 1 month ago, I was invited by Lancome and Beauphoria to attend a make up and hair class present by Lancome, Bauphoria, and Harumi Sudrajat. 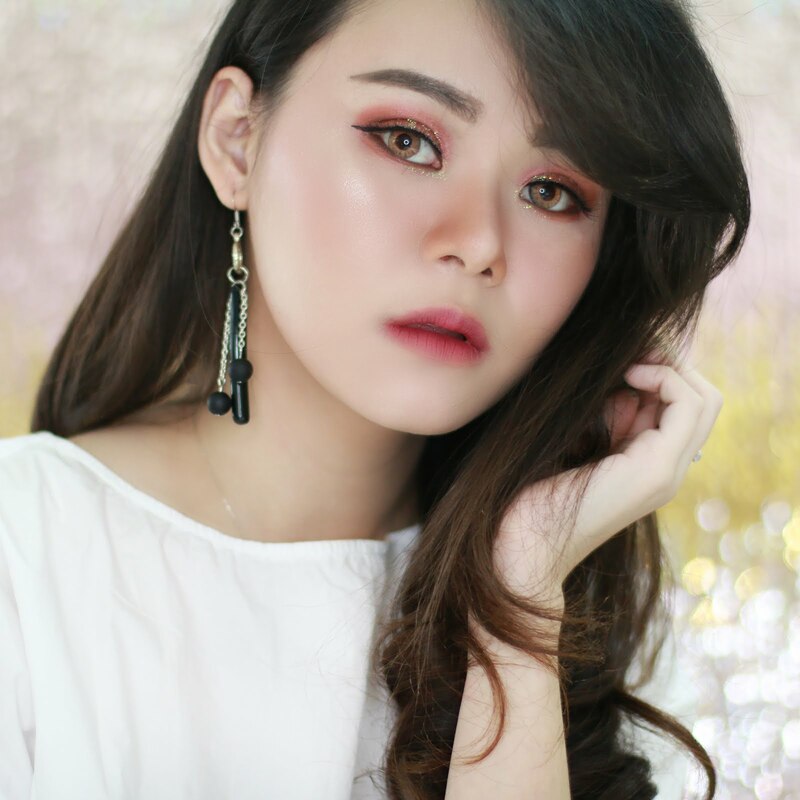 Harumi is a popular Indonesian beauty blogger *you can check her blog here*. I am so excited for this class since Harumi is well known because of her make up skill, even tho she is not a make up artist. This is an open make up class for Lancome and Beauphoria customer actually. You need to register and paid for the class fee. But I am so lucky to be invited by Lancome and Beauphoria. I only have 3 Lancome product so far, and all of them was given to me. It's not like I don't like Lancome product, but Lancome is one of high end brand and I need more consideration before decide to bought something expensive. *consideration here means searching about the review before deiced to buy*. 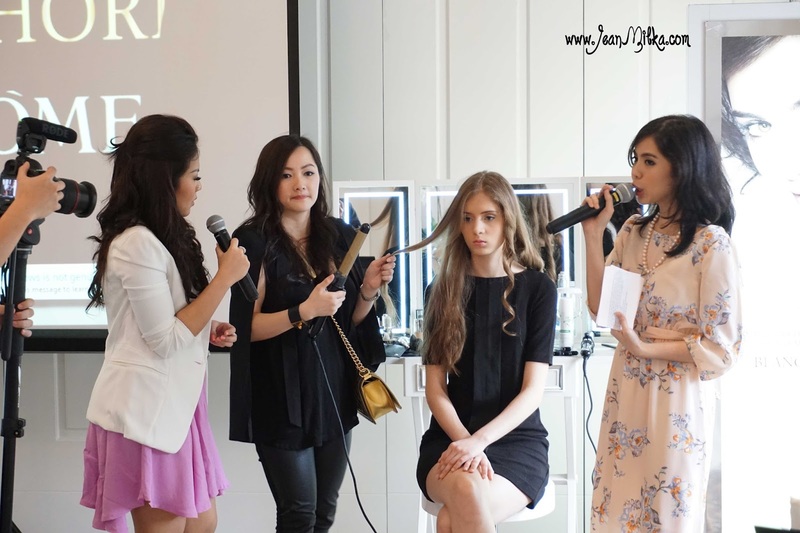 The make up class hosted by Harumi and held at Hermitage Hotel, Menteng, Jakarta. She start with the skin care step that is really important step. Even tho you are not using make up, you still need to use toner, serum, moisturizer, etc. 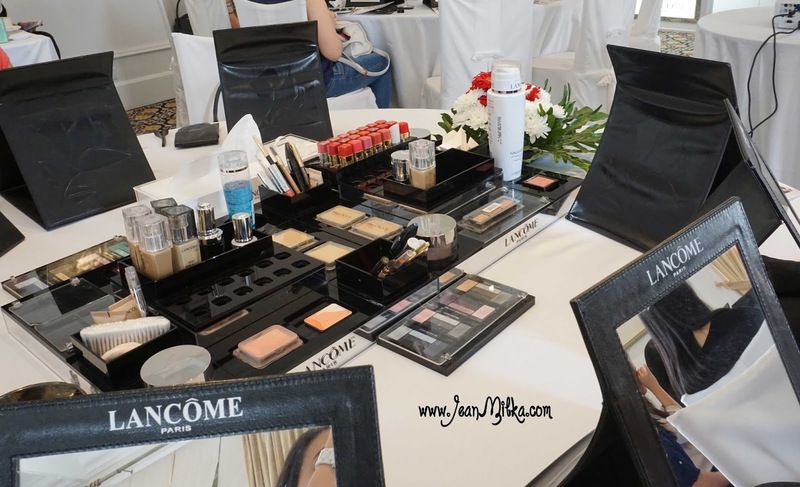 All product in this make up class provide by Lancome, and this is the first time I tried skin care product from Lancome. My impresion is, I don't know what I used but I love how refreshing Lancome feel on my skin. Especially the eye cream which is Ganfique Eye Light-Pearl. Next is the make up part. Harumi share some tips and trick to get flawless finish. Lancome have some great foundation product, it's not really hard to get flawless finish using Lancome foundation. I falling in love with one of their foundation that I used that day, which is Lancome Mat Miracle 24 Hours Liquid Foundation. I am really a sucker for high end matte foundation. In my opinion, foundation is something worth the price. Foundation is a based for your make up and you use it all over your face surface, of course if there is something you need to paid more, foundation should be on the list *just my opinion*. lancome Mat Miracle 24 Hours Liquid Foundation cost around 580.000 and it's now on my wish list. Not only the foundation, one of the staff help me try Lancome under eye concealer. She start with apply a pink tone concealer as under eye corrector and finish it with powder. I really like the result. She is very kind to help me and most of the participant, she even help me to take some picture. She is actually a make up artist who is working part time for this event I think. I was asking if she is from Lancome and she said no. This is the first make up class that provide some staff who help all participant. Most of time make up class end up like make up demo where the demo is too fast to follow. Next is the hair tutorial and demo from Beauphoria. If you never heard about Beauphoria, Beauphoria is one of automatic curling iron that is very happening right now. I only know Miracurl from Babyliss which is also an automatic curling iron in past. Miracurl is different compare to regular curling iron, you can check more about Miracurl here. I only test it once, but I prefer regular curling iron, I might give it away for my next giveaway *don't forget to follow my blog for next giveaway*. I prefer Beauphoria a lot more compare to Miracurl. Beauphoria is just like regular curling iron except for the fact that it wand can automatically spin. There is 2 button which are to spin the wand to the left or right. There are 3 type of Beauphoria curling iron which is medium, large, and cone. You can check more about it at www.beauphoriaid.com. I bought the medium one back on June and I really love it. You might struggle at beginning but after couple tries, you will get used to it. When it comes to Beauphoria, I only need 15 - 20 minutes to style my hair. I need almost 30 minutes with regular curling iron. You also will love how easy it is, I am sure. Here is the result of Beauphoria in large. You can see on the model or on me that it just give large weave like you use blow drier. On that day, there is instagram competition. I am so happy that I won that and I got the large size of Beuphoria as the gift. Let me know on the comment down bellow if you want an exclusive review for my Beuphoria. So much fun on this event. I am so happy to be invited on this event. This is the best event I have ever attend. And also, happy to able take picture with 2 of popular bloggers which are Harumi and Anastasia Siantar. If you don't know them, go visit their blog. 8 komentar on "Lancome and Beuphoria Flawless Beauty Class with Harumi Sudrajat"
Aku juga suka rambutnya di curly.. tapi takut rambutnya kering. Ayu ci main2 ke sini.. pindah kota dah.. hahaha.. CC klo ke jakarta bilang2 ci.. kita ketemuan..
Yeah.. Nicest event I have ever attended..